This is a very good police procedural set in Tokyo in which the author excels in creating a vivid slice of Japanese life. Hiroshi Shimizu is called upon to investigate the murder of an American businessman who appears to have been pushed to his death beneath a speeding train. He's captured on security camera, very drunk, with a beautiful Japanese woman. Hiroshi and partner Takamatsu are drawn in to the seedy world of hostess clubs in the search for the woman and the motive for the man's gruesome fate. Author Michael Pronko is a professor of American Literature at Tokyo's Meiji Gakuin University and has lived in Japan for over twenty years. His writing is skilled and hugely knowledgeable on Japanese culture and customs. His descriptions really bring the book to life and make for fascinating reading. The characterisation is excellent; Hiroshi's failed relationship with Linda is perfectly portrayed and he comes across as both engaging and grounded. The plot is believable but, in my opinion, lacks a little in excitement. 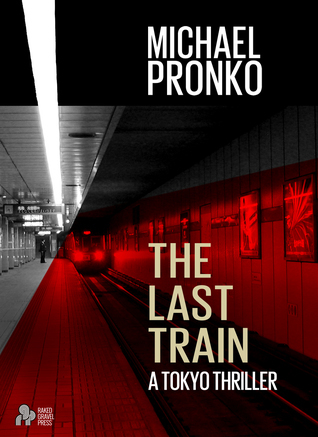 However, for anyone wanting a no-frills representation of life in modern Japan, Pronko is the go-to author. My thanks to author Michael Pronko for providing a copy of this book.